“My Canary Has Circles Under His Eyes.” Music by Jack Golden, lyrics by Ted Koehler and Edward Pola (1931). Recorded the same year by Al Bowlly, Marion Harris, the Debroy Somers Band (Dan Donovan, vocalist), and Fred Spinelly’s Band. 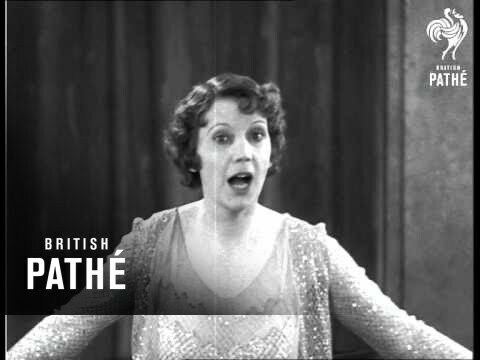 ELSIE CARLISLE SINGING ON FILM FOR NEARLY EIGHT MINUTES! 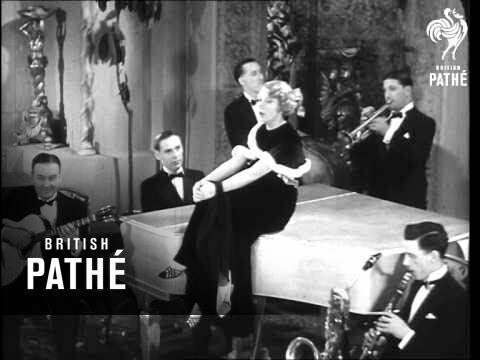 Elsie sings such numbers as “It’s Great to Be in Love,” “He Raised His Hat,” “The Girl Next Door,” “Here Am I (Brokenhearted)” and “You’ve Got Me Crying Again,” and ends with a reprise of “It’s Great to Be in Love.” She descends stairs from a balcony wearing a fur-lined stole, engages in occasional banter with her nattily dressed band, sits on the piano and rocks back and forth fetchingly (fiddling constantly with a black silk scarf), takes off the stole, sings to a portrait (which she ultimately veils with the scarf), and ultimately returns to the balcony. UPDATE: Peter Wallace informs me that several of the musicians in this film worked for the Ambrose Orchestra; those with speaking parts include Max Goldberg on the trumpet and Bert Read on the piano. The latter wrote a moving tribute to Elsie shortly after her death.